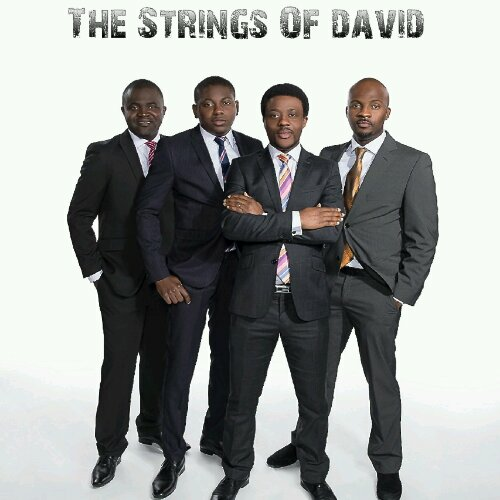 The Strings Of David (T.S.O.D) is a core afro gospel music group based in Helsinki, Finland. Comprises of four of Finland’s best gospel singers. They grew up in different parts of Nigeria, West Africa from whence they sojourned individually to Finland with the basic purpose of furthering their education. They met themselves singing as individuals in gospel concerts and in churches within and outside Finland which enabled them to interact deeply musically. From the musical interactions, passions were stimulated, relationships were established and then The Strings of David (T.S.O.D) was formed. The band was formed basically to declare God’s praise to the extent where it will present God almighty as good to people who are yet to know him. Better to whoever it is that ever knew him to be good and best to those that sees him as better. Also to revolutionize praise and worship from the conservative European perspective not forgetting also contributing significantly to the wealth of praise and worship resources back in our homeland. Here is their maiden single titled “I Go Fly “, an absolutely inspirational piece adopted from R Kelly’s i believe i can fly. With Theo keys, one of Naija’s best Finland based producers on the beat and Finland’s Henrick Sirelä on the mix, you can only expect quality. Enjoy!! !